Digital Parenting - A guide to help your family live a better digital life. DON'T FORGET OUR ONLINE SAFETY POSTER COMPETITION. HAVE A GO DURING THE HOLIDAY BREAK. Create, Connect and Share Respect. Thank you so much to our parents who were able to attend our online safety session for parents and carers this morning. If you weren't able to attend, the presentation is attached below and also the link to access some parent resources from the Safer Internet Centre. The following link provides some good advice for parents on how to deal with these situations when they arrive. That possibly means, new phones, new tablets, new games for consoles and new consoles. 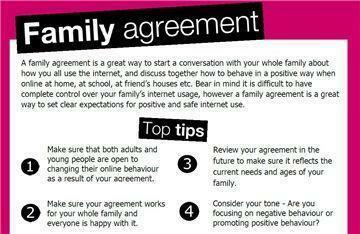 Creating a family agreement can be a good way of getting the whole family talking about online safety. It can be a tricky subject to tackle but the more open, honest and confident the whole family can feel talking about internet safety, then the safer the family will be. Childnet have produced some good templates which could be useful if you are thinking about setting up an agreement of this sort. 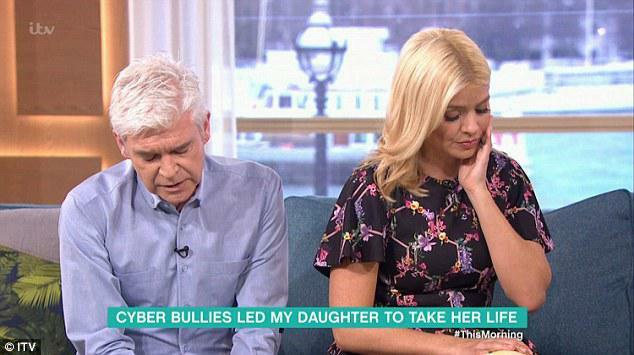 This is a clip from the 'This Morning' programme regarding the consequences of online bullying. This is an emotional clip as it talks to two parents for whom online bullying resulted in the death of their children. This clip would probably be suitable to watch with Year 6 children but if you are thinking of watching it with your children, then I would recommend you watch it through first. 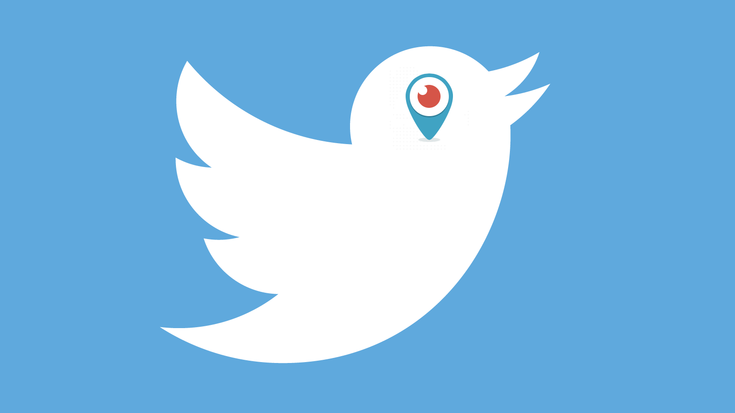 The clip should be able to be accessed by following the link below. With Christmas on the way, I am sure many children will be enjoying new electronic gadgets. This can be a minefield for parents so the link below can provide some advice about PARENTAL CONTROLS. By using these effectively, it can help give you piece of mind, whilst knowing your children are enjoying technology safely. 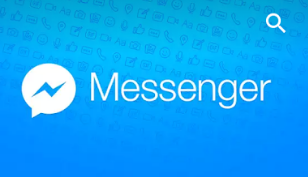 This app is an offshoot of Facebook. Although the website refers to teens, you may find that primary school age children are also accessing this and therefore this information could be really helpful. There is some good safety points near the bottom of the web page. Please follow the link below to view this information. There has been some recent media coverage about this new gaming sensation which is now available in this country. 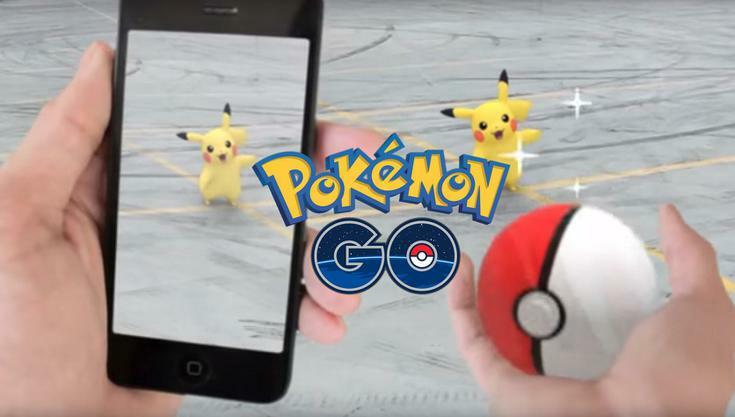 The media have been warning of some possible risks that could be associated with using this game. saferinternet.org has written a short article on this which provides some advice to parents to ensure children can enjoy the game and play it safely. Is there an age limit for kids using social media? E-Safety for Parents -A copy of the e-safety presentation we delivered for parents. If you have any questions or worries about e-safety, then please talk to a member of staff. 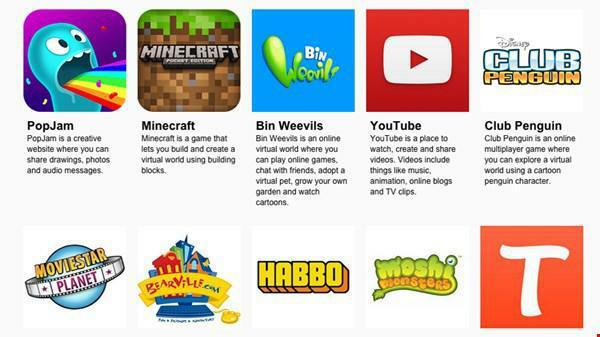 EU Kids Online coordinates and stimulates investigation into the way children use new media. It looks at research based across European countries. The report is quite detailed but below are a couple of interesting pages. 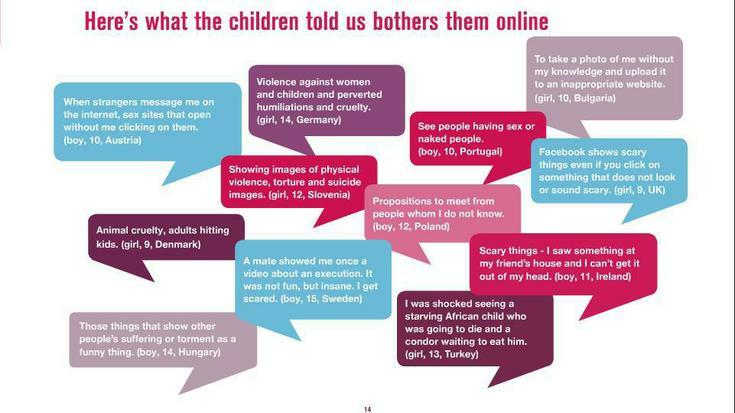 The page below shows some quotes expressing some of the concerns children have about using the internet. 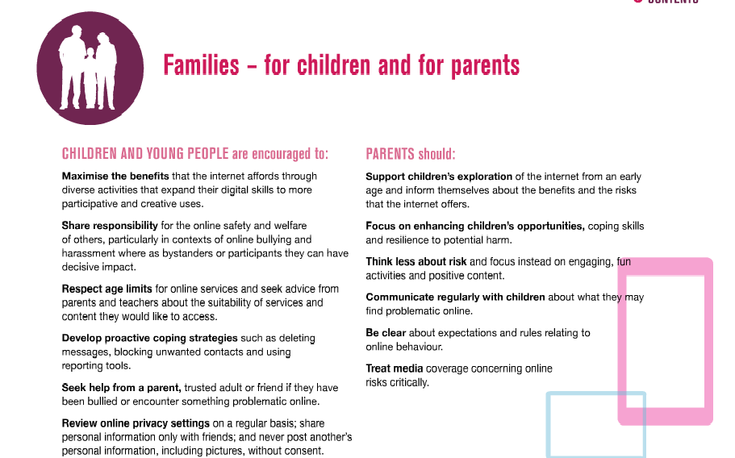 The page below gives some advice for families and parents regarding online safety. If you are interested in reading the full report, then click on the link below. We know that many children have access to smart phones, tablets and the internet. We are also aware that it can be a minefield for parents who want to make sure their child is accessing information in a safe way. The following links below provide useful guidance for parents or carers with regards to internet safety. On 12th January at 9:00am we are holding an e-safety session for parents. We hope that you will be able to come along and find out a little bit about keeping children safe online and how to use parental settings.